With more than 1.13 billion daily active users, Facebook Marketing has become a powerful advertising tool. 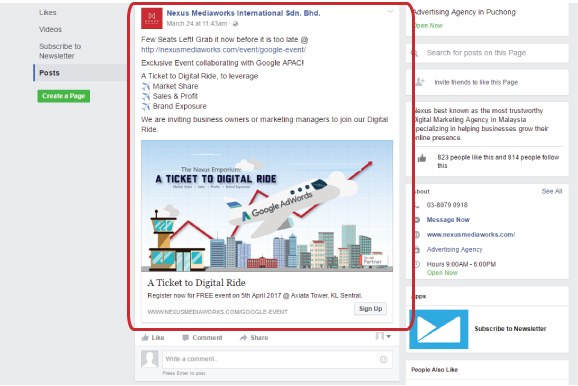 As an experienced Digital Marketing Agency, we create tailor-made Facebook Ads that meet your marketing goals and requirements. We study your target audience and plan out detailed advertising strategies to gain a competitive edge for your business. Based on your business objective, we deliver the best measurement and tailor-made strategies in any format of advertisement you prefer. At Nexus, our experts conduct a thorough analysis of your target audience, content that they are likely engaged with and their needs/concerns. We aim to generate the best ROI and achieve each of your campaign goals. Visual kind of service or product? 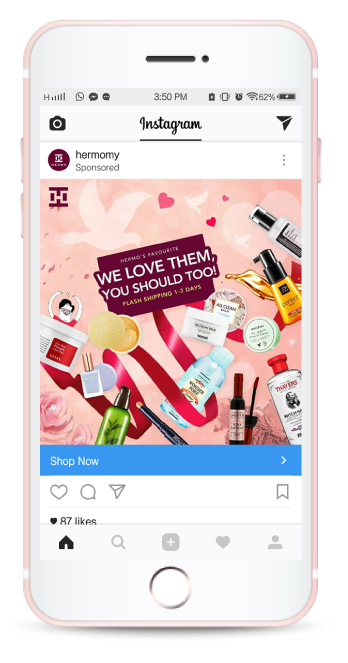 Looking into advertising on instagram? Great! Instagram is a social network that consists of younger age group,. With more than 300 million active users per day on Instagram, it is the perfect opportunity to market your brand and reach more people through this visual focused platform. Running advertising campaigns on instagram is an alternative source to drive traffic to your website, get your app to be installed and your brand noticed and loved! Tell us your business aim, we have customized solution made just for you! Research and understand your targeted audience behaviors and interests. Create a specific, relevant and attractive text ad. Install conversion pixel that tracks campaign performance accurately.